All companies have a responsibility to their employees, their customers and their communities. The CNG Family of Companies understands this need for civic responsibility and takes pride in the communities that have helped it become successful. We view this as a reflection of the values for which we are known: ingenuity, integrity and professionalism. 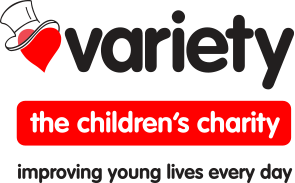 Brought here by movie moguls from the USA and inaugurated in the UK in 1949 (as The Variety Club of Great Britain), Variety was one of the UK's first charities to be founded especially for children and young people. Among its many activities to help young people, Variety Club is renowed for its Sunshine Coaches that transport thousands of young people in Britain. Most are used by schools or organisations for children with special needs. In support of their great work, our family of companies have donated two Sunshine Coaches. Founded in 1959, Muscular Dystrophy UK (previously known as the Muscular Dystrophy Campaign) is the charity bringing individuals, families and professionals together to beat muscle-wasting conditions. We are glad to have the opportunity to donate several wheelchairs. The CNG Family of Companies has also donated thousands of pounds to a variety of other charitable causes, including leprosy relief in India.